EKPHRASIS is the art of Visual Description, a tradition that goes back to the ancient Greeks. Scott Schweigert, curator of art at the Reading Public Museum, is a native Pennsylvanian with more than twenty years of curatorial experience. 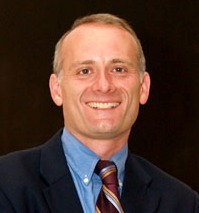 Before coming to the Museum in 2009, Schweigert was director of the Suzanne H. Arnold Art Gallery at Lebanon Valley College in Annville, Pennsylvania, where he curated exhibitions on James McNeill Whistler, Louis Comfort Tiffany, William Trost Richards, Pennsylvania Impressionism, German Expressionism, Spanish Colonial paintings, contemporary Latin American art, and installation art, among others. He has taught art and architectural history at the University of Virginia, Charlottesville, Virginia; The Pennsylvania State University, University Park; Shippensburg University; and Lebanon Valley College. He earned an undergraduate degree at Dickinson College, an M.A. in art history at The George Washington University and completed doctoral coursework at Penn State. He was awarded fellowships at the National Gallery of Art in Washington, DC and The Metropolitan Museum of Art in New York. He is a specialist in European art of the seventeenth century. Jack talked about the inspiration of the story and how it was developed and what aids were used in writing and editing and rewriting. Jack was born in the Reading Hospital and grew up in a happy family in Adamstown PA and graduated from Cocalico Highschool. He received a Bachelor of Science Degree in Art Education at Kutztown University and a Master of Fine Arts at UCLA. Before going to Los Angeles, he taught Art at Cocalico Elementary Schools in Denver PA and later at Chatsworth Highschool in Chatsworth CA. At some point after grad school he worked at NBC Studios Art Department before becoming a fashion designer in Los Angeles. He taught fashion related subjects at UCLA, Santa Monica College and Woodbury University, all of which are in the LA area. During that time he was also painting and was represented by LA Art Core Gallery in the downtown LA art center. Later he worked in the Garment business in New York, NY, Allentown, PA and his last such job was at Elite Sportswear in Reading near Albright College where he also had taught for a semester. Reading books was one of his joys, which he preferred to television, when he had a chance to do it. He would put himself to sleep at night by making up stories that were different from my daily life. Now all these experiences are combining in his mind and life. Rosemary Augustine started writing as a teenager as she kept a diary and wrote poetry and daily thoughts. It wasn't until she was in her 40s that she realized she wanted to write and publish books. Her first book - Facing Changes in Employment - was released in 1995 while coaching individuals in career transition. Its contents still rings true today of our ever changing workforce. Rosemary has since published a total of six books on topics of creative writing, journaling, finding your passion and the secret lives of cats. A native of Southern New Jersey, Rosemary lived in Los Angeles for 6 years and Denver for 20 years before returning to her roots in 2001. Today she lives in Berwyn, PA with two feisty felines - Ziggy and Zack - who are an inspiration for many of her writings. A former President of Colorado Independent Publishers Association, Rosemary is also an accomplished artist and listed in Who's Who of American Women. Craig Bennett (author Nights on the Mountain) spoke on his writing and publishing experience. Craig grew up in Spring City, Chester County, and received degrees from Ursinus College and the Johns Hopkins University. He is a former musician in U.S. Naval Academy Band as well as an on-screen and voice-over actor, but he earns his living most of the time teaching English in one venue or another. He retired as an associate professor and transfer adviser at Valley Forge Military College. Now he travels much, including Europe, the former Soviet Union, and a 1984 expedition into Brazil's northeastern wilderness in search of the ruins sought by Col Percival H. Fawcett when he disappeared in 1925. Bob Button is an award-winning writer and journalist and a published author since the age of 12 when his first poem got into print. During subsequent decades he has written for a few daily newspapers, international news syndicates, national magazines, and more recently aviation/space websites. During the Sixties Button was a documentary film writer-director; his films, mostly about America's man-in-space program, garnered such honors as an Academy Award nomination. Button also served in every branch of the U. S. military, is a Purple Heart veteran of the Korean War, retired as an Army sergeant major, then flew Search and Rescue for the U. S. Coast Guard Auxiliary for ten years. Since retiring from the Army and NASA, Button has worked as a freelance writer and editor. Barbara Taylor also spoke, and worked with the group on some writing exercises enabling "group think". As curator of the John Updike Childhood Home in Shillington, Pennsylvania, Dr. Mogford shared the Society's plans to restore the house to the era in which Updike lived there. She also discussed Updike's short fiction in relation to the House. Maria Mogford earned a B.S. in Education from Kutztown University with a focus in Communications (English, Speech and Theatre) and has presented at local, state, national and international conferences on the topics of Multiple Intelligence Theory, International Education, John Updike and Pennsylvania, and Collaboration and Practical Assessment for ESL learners. 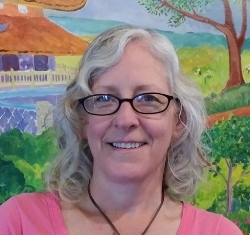 Dr. Mogford teaches and develops courses in the English, Education and Theatre Departments at Albright College, Penn State Berks and Reading Area Community College. Jack described how Updike wrote, what gave him the determination to write, how he managed to continue for 55 years. 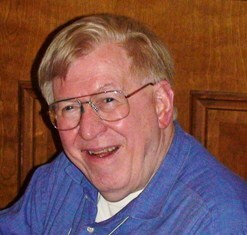 Jack taught Updike and creative writing at Lehigh University for nearly 40 years and has published several books about Updike. He is a serious book collector of Updike's works. His wife and he have just celebrated their 50th anniversary. 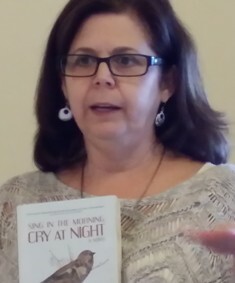 Joanne Bobek shared her experiences regarding publishing her most recent books and journals. She also led us in a writing exercise and group discussion. John read selections from his latest book of poetry, "Alchemy", published by Epic Rites Press in Canada, and talked about his road to getting his books published. 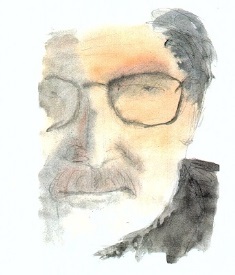 Since 1970 John Yamrus has published 2 novels and 21 volumes of poetry. He has also had more than 1,600 poems published in print magazines around the world. Selections of his work is taught in a number of colleges and universities and been translated into several languages, most recently Romanian. Robin spoke to the group about inspired writing; writing from your heart rather than your head. She took us through several exercises to help us move forward in our writing endeavors. Robin Smith is a recognized life coach, author, and speaker, who assists individuals and organizations in achieving breakthrough thinking and effective action. Robin's experience includes pharmaceutical R&D, manufacturing, customer service, investments, insurance, and retail sales. Her most recent book, "The Dawning of Your New Life", was released as a self-published work in January, 2013.
Business writing may not be the pathway to the next "great American novel" but it is a necessary ingredient for organizational success. Persuasive writing that demonstrates critical thinking, logical argumentation, and clarity is essential when communicating with prospects, clients, colleagues, employees, shareholders or the public. However, many organizational leaders and managers are not skilled wordsmiths, which presents an opportunity for experienced freelance writers. We will explore the many types of professional writing needed by private, public and non-profit organizations and why great prose matters to all of them! 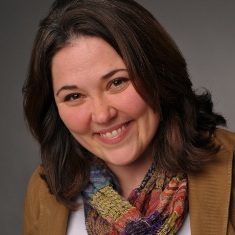 Michelle Kissinger, MBA, is Director of Organizational Development for Kissinger Associates, Inc. and Principal of Kissinger Leadership Consulting. She is also pursuing her Ph.D in Organizational Leadership at Eastern University. She writes professionally and academically and has been published in a number of trade journals. In the past five years, the concept of "being published" has changed drastically. CJ Rhoads shared information on exactly what the options are these days, and how someone can benefit from some of the new capabilities that didn't exist in the past. She also shared the secrets of published writers, and tips and techniques that will maximize your options for getting published and (more importantly) getting paid for getting published. Dr. CJ Rhoads is the founder and CEO of HPL Consortium, Inc., which includes HPL Publishing, an up-and-coming publishing division dedicated to helping independent writers get published. She is a widely published author with six books and over 150 articles. She is the series editor for Praeger Publishing in "The Entrepreneur's Guide To", a highly-successful scholarly press imprint, which just published her capstone book "The Entrepreneur's Guide to Running a Business:Strategy and Leadership". She's also an associate professor in the College of Business at Kutztown University. In 2009 she was honored as one of Pennsylvania's Best 50 Women in Business, in 2011 she received the Athena Leadership award, and in 2013 was named one of most Influential Women in Lehigh Valley Business. In February of 2014 Kutztown University named her Top Faculty Researcher of the Year. April 26th. 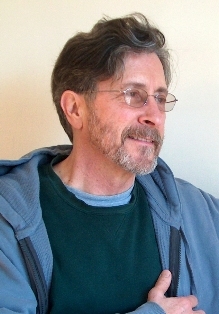 CL Bledsoe, featured writer. Berks Bards and the Pagoda Writers join to host CL Bledsoe. CL Bledsoe is the author of three novels, including the young adult novel "Sunlight", the novels "Last Stand in Zombietown" and "$7.50/hr + Curses"; four poetry collections and a short story collection called "Naming the Animals". Bledsoe lives with his wife and daughter in Maryland. He's been nominated for the Pushcart Prize 10 times, has had two stories selected as Notable Stories by Story South's Million Writers Award, and has been nominated for Best of the Net twice. He blogs at www.clbledsoe.blogspot.com . Gale Martin shared her experience and told us about 7 simple tricks to make our fiction magical - especially for long fiction novels. Her most recent novel "GRACE UNEXPECTED", published in 2012, is wryly witty women's fiction that features a protagonist who can hear her ovaries ticking, who has a heart of pure gold, wrapped in lead. But a string of crummy boyfriends would do that to any lovable woman while waiting for Mr. Right. Gale has a master of arts in creative writing from Wilkes University. Her work has been published in The Christian Science Monitor, Duck & Herring Company's Pocket Field Guide, Sirens Magazine, Giggle Water Review, and in several anthologies.. 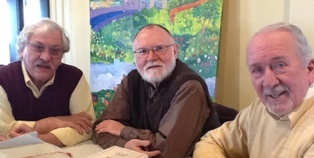 In March we had a triumvariate of experience as Reading Eagle veterans Ron Devlin, Bruce Posten, and Chuck Gallagher came and shared stories and experience regarding writing. In February we had a great workshop. The topic was how 'Lunch with Lucille' went from idea to publication to award winner - And how you can do it too. Lunch with Lucille's visual design and marketing concept was developed by Debra Deysher in conjunction with Author Annarose Ingarra-Milch and Editor Lisa McGowan. Annarose and "Lunch with Lucille" have been featured on WFMZ television, in the Wall Street Journal, MarketWatch Retirement Living, as well as Berks County Living and Women 2 Women magazines, BCTV and radio talk shows. A member of the International Speakers Network, Annarose is a sought after motivational speaker sharing the powerful secrets of Lucille's four-diamond brooch. Recently 750 attendees at Reading Health System Pink Power Breast Cancer Awareness event heard her keynote speech. 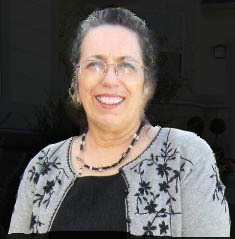 She is also a presenter at the 7th Annual Positive Aging Conference in Sarasota, Fla. Annarose hosts "Finding YOUR Lucille," an unscripted and unedited, conversational podcast series, available free on ITunes. Noted for strong imagery that immediately creates brand recognition, Deysher has worked nationally and internationally with authors, artists and musicians. She is pleased to be part of the LWL team promoting the positive message of "Lucille" and Ingarra-Milch. Charlie Adams shared with us his take on imagination. Charlie's Bio: Charles J. Adams III was born in Reading, Pennsylvania, in 1947 and resides there today. In October, 2013, he retired after more than 27 years behind the microphone every morning on Reading radio station WEEU. In his retirement, Adams will continue to write regular features on travel and local legends in the Reading Eagle newspaper. 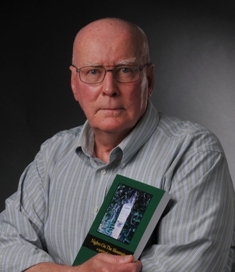 He has written more than 35 books on the paranormal, folklore, shipwrecks, train wrecks, and baseball.